These first five years of NYCTaper have been as unpredictable as they have been profoundly enjoyable. The very act of capturing live music can be exhilarating, but when taping becomes part of an entire subculture that introduces you to new and exciting acts on a regular basis, and allows you to access the act of live musical creation of a band like Oneida, there are really no words to describe the experience. We asked Oneida to play and to curate our 5th Anniversary show and were overjoyed when they accepted. 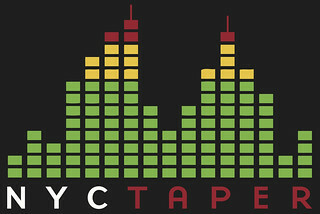 The band has been an important part of NYCTaper over these five years. We’ve recorded them in their own studio for a day’s worth of jams, we recorded them in the old Knitting Factory and the new Knitting Factory, I woke up pre-dawn to record them as the sun rose over the East River in Brooklyn, we’ve captured three of their CD release events. Its been a great ride, and a couple of Saturdays back at 285 Kent, the amazing journey continued. Oneida invited James McNew and Greg Fox to join them on stage for the set. The band then launched into an eighty minute set of entirely new material, and completed the show with another exercise in Oneida boundary-breaking. 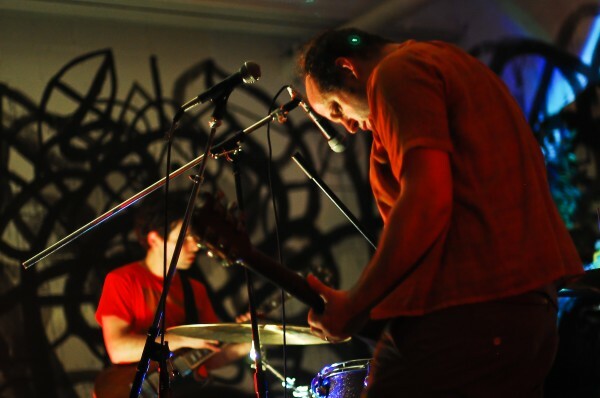 We are streaming “Bad Habit”, a song that begins in the style similar to Oneida’s “kraut-rock” material, but which detoured into a lengthy noise-rock jam. The final song is called “Reputation” and it was an obvious highlight, as it transpired over an astounding forty-eight minutes as the double-drum attack led the charge through a trip of musical peaks and valleys with a few pit stops in between. As an analog to our amazing first five years of existence, we could not have asked for a more appropriate set closer. Acidjack and I recorded this set in a manner we had not previously accomplished. I took four discreet tracks from the board into my R-44, while acidjack recorded four channels of audience microphones — the Schoeps mounted center and above the stage, and the Sennheiser cards mounted on a beam 10 feet from the PA into his R-44. The eight channels were synced live. All the tracks were mixed in Soundforge fairly equally in post-production. The result is a professional quality multitrack recording with superb quality. Enjoy! Direct download of the complete show in FLAC [HERE]. Wow–can’t wait to hear this! Thanks!